More than 11,000 units are expected to be launched in 2019, on top of 32,000 units unsold as of Q3. 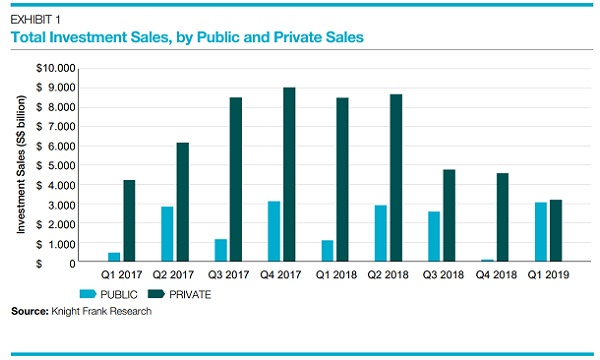 This chart from OCBC Investment Research (OIR) shows that supply pressures are not immediate in the near term with only 3,506 units left in the pipeline supply for Q4. However, the medium-term developers might face risks in the medium-term with more than 11,000 units expected to be launched in 2019, on top of rising inventory levels of about 31,900 units in Q3 that are a tad below the long term average leves, OIR noted. 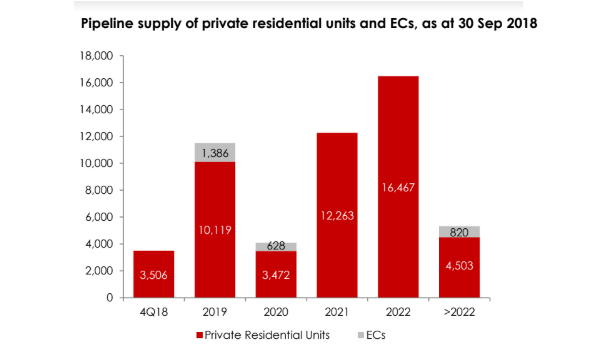 “We estimate that there may be close to 20,000 private residential units (excluding ECs) which could be released to the market, of which the bulk may be launched in 1H19,” OIR said. Meanwhile, a smaller pipeline supply of just about 4,100 units is expected to come by 2020.